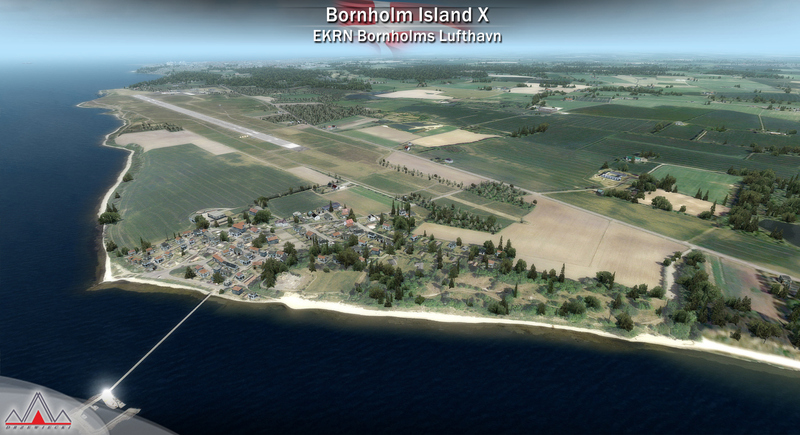 Bornholm Island X is a detailed scenery of Bornholm Island (with EKRN airport) in Denmark. 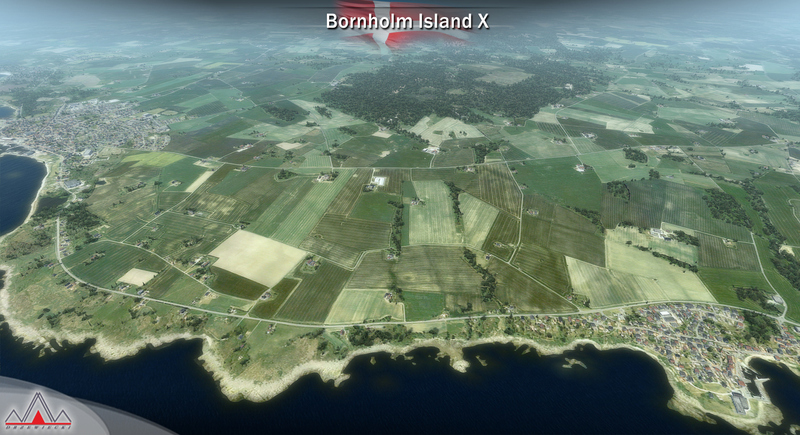 Come and visit Bornholm, the beautiful island located in the Baltic Sea 37 km south of Sweden and the north of Poland. 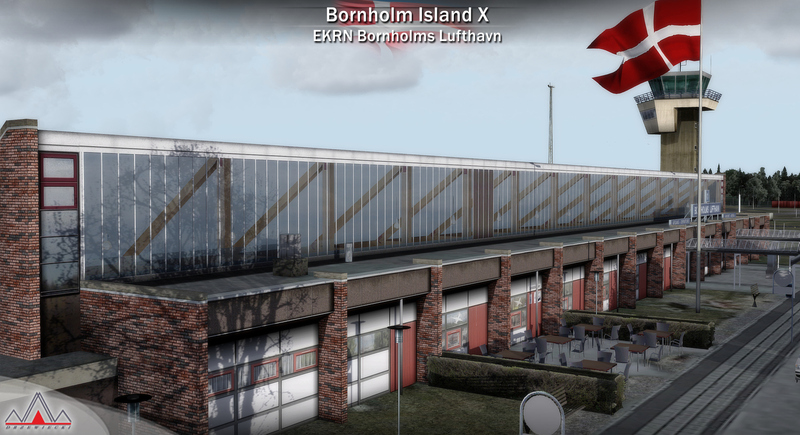 In Old Norse the island was known as Borgundarholm, and in ancient Danish especially the island's name was Borghand or Borghund; these names were related to Old Norse borg "height" and bjarg/berg "mountain, rock", as it is an island that rises high from the sea. 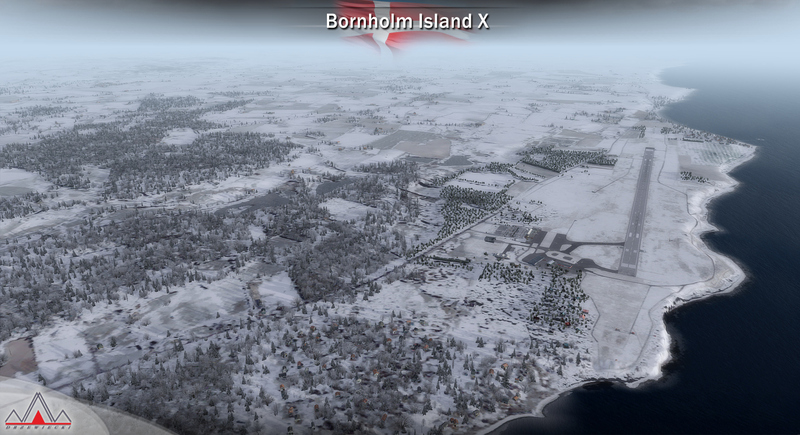 The island is roughly 588 square kilometres and has 158 km of coastline. 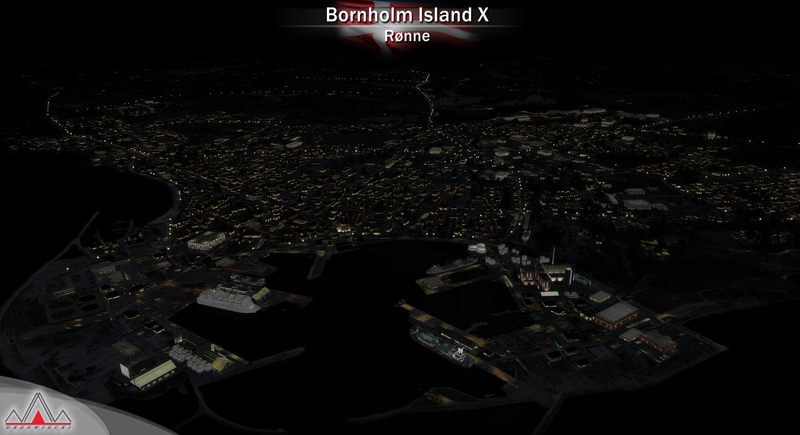 Its highest elevation is 162 m (531 ft) and it had a population of 41802 in 2010. `The Pearl of the Baltic' has sandy beaches on the south of the island which are renowned for their Mediterranean light and feel. 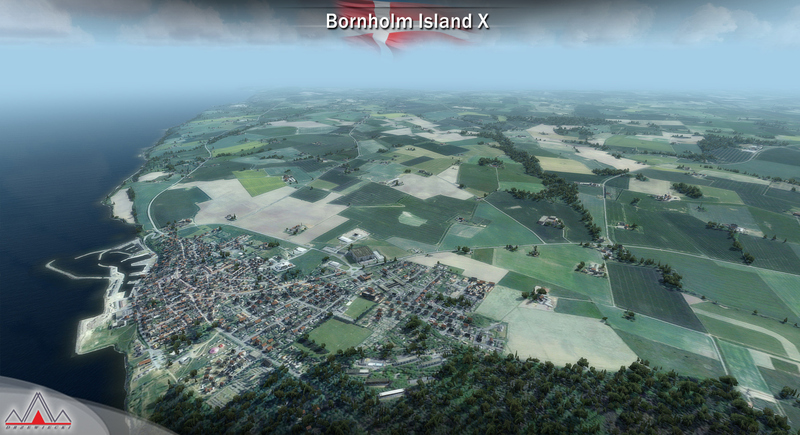 Its forests impart a more rugged feel than found elsewhere in densly-populated Denmark. 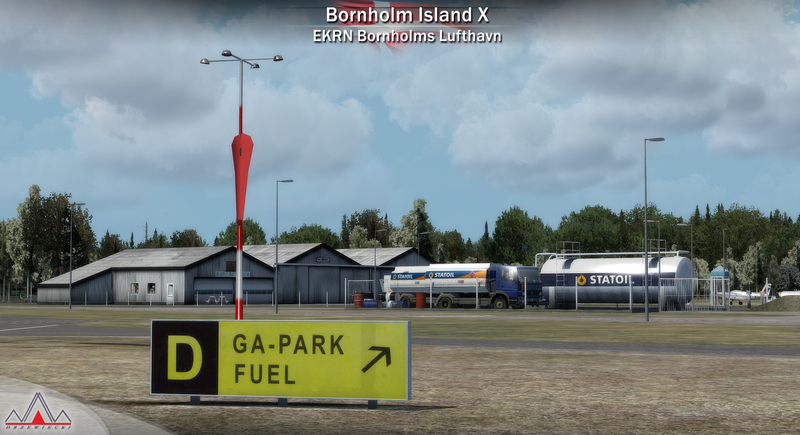 Though practically unknown to Americans, this island of light is a favorite vacation spot for Scandinavians, Germans, and Poles. 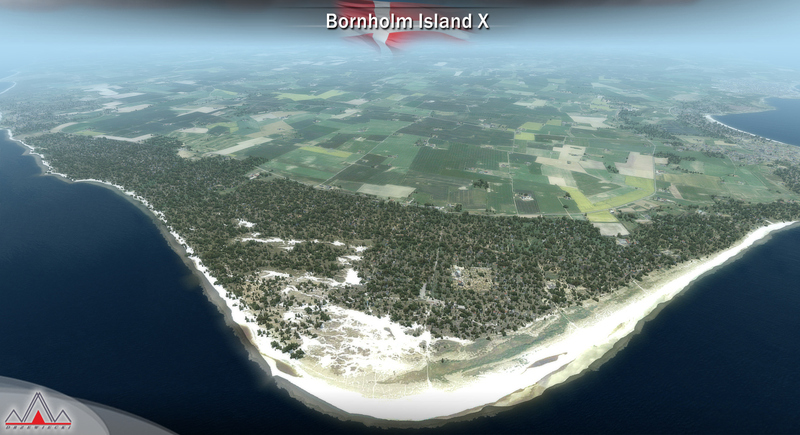 Its position in the middle of the Baltic (it is closer to Sweden, Poland and Germany than to rest of Denmark) gives both a secluded, yet international feel. 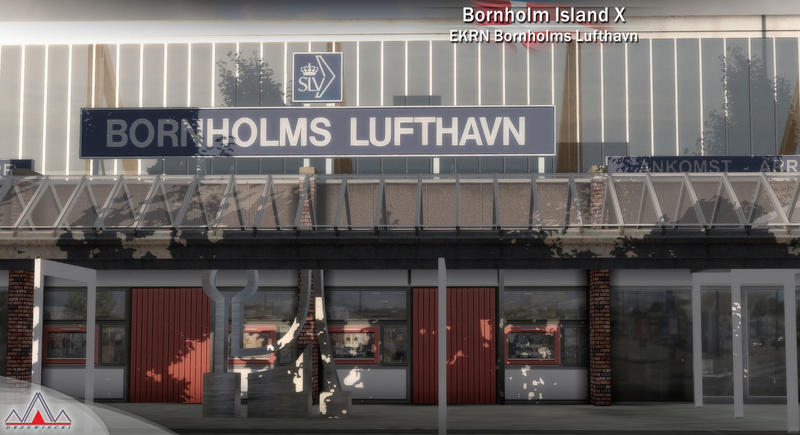 Bornholm is widely known for its smoked herring, high quality arts and crafts and its beautiful nature. 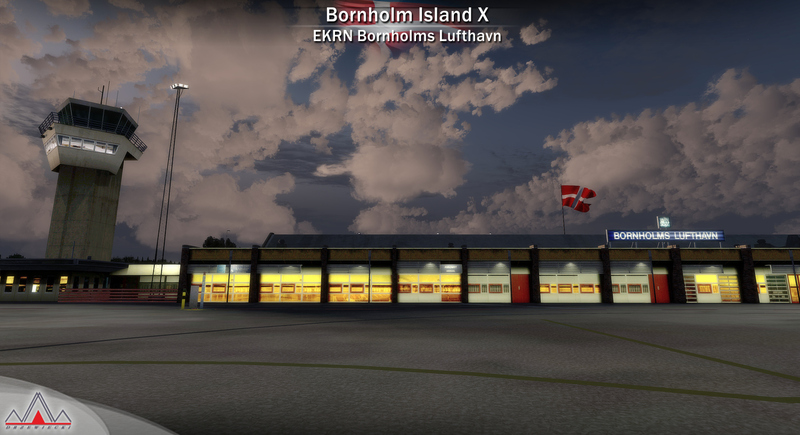 Bornholm Airport (Danish: Bornholms Lufthavn) (IATA: RNN, ICAO: EKRN) is a Danish airport located 2.7 nautical miles (5 km) southeast of Rønne. 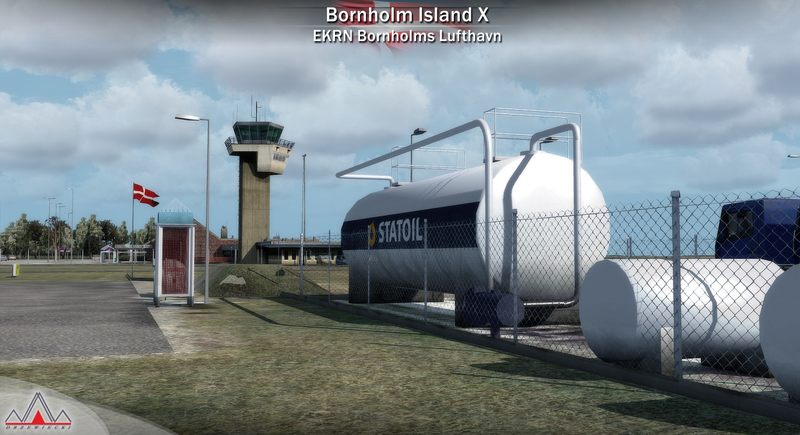 The airport is operated by Statens Luftfartsvæsen (The Danish Civil Aviation Administration) with the air traffic control provided by Naviair. 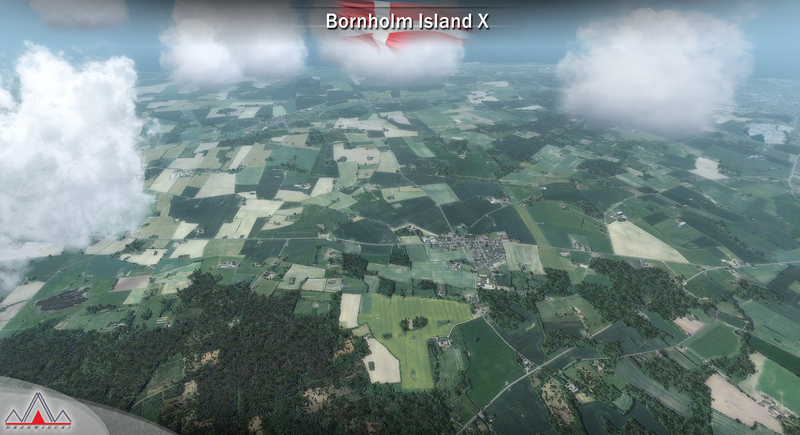 The first flight from Bornholm took place on June 1st 1912 from the location "Galløkken" near Rønne. 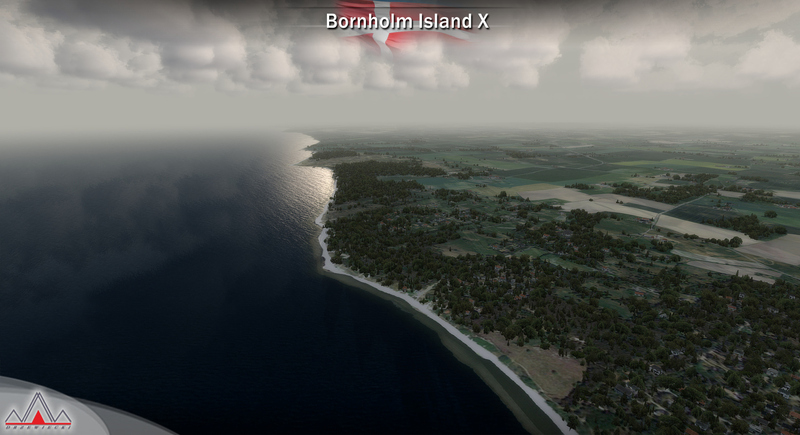 A certain mr. Severinsen had on the initiative from the athletic association "Viking" taken a ship to Bornholm bringing with him his mono-plane. A large number of spectators witnessed Mr. Severinsen flying at tree top height for a duration of a minute or so. 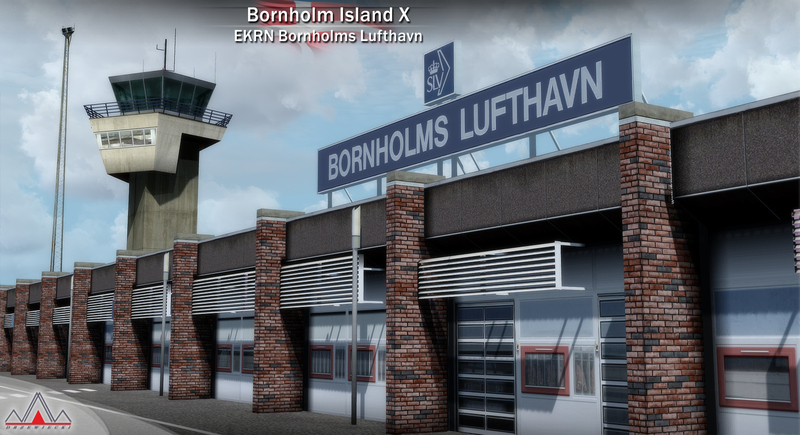 In 1940 the inauguration of "The Air Field of Bornholm, Inc." was celebrated, and the DDL instantly commenced scheduled flights on a daily basis from and to Copenhagen. In the year of 1940 the number of passengers amounted to 887. 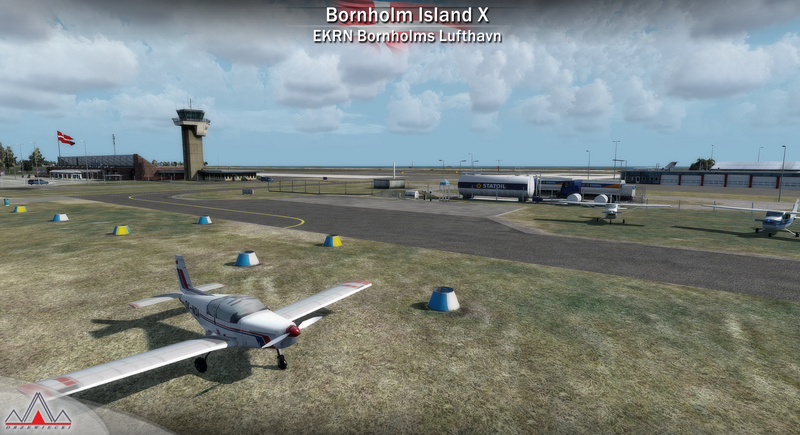 Only one year later the number of pax appeared to be increasing to 13.397. 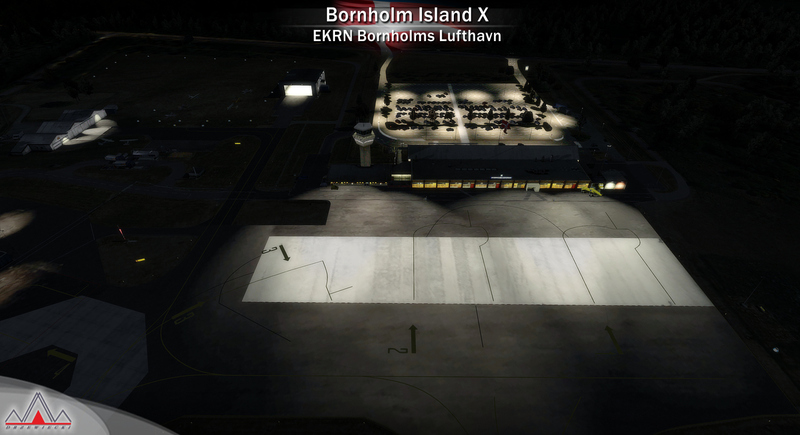 The landing area was a pear-shaped grass runway ranging to a maximum length of 700 meters in the direction NW-SE, and a minimum length of 550 meters available in the direction NE-SW. 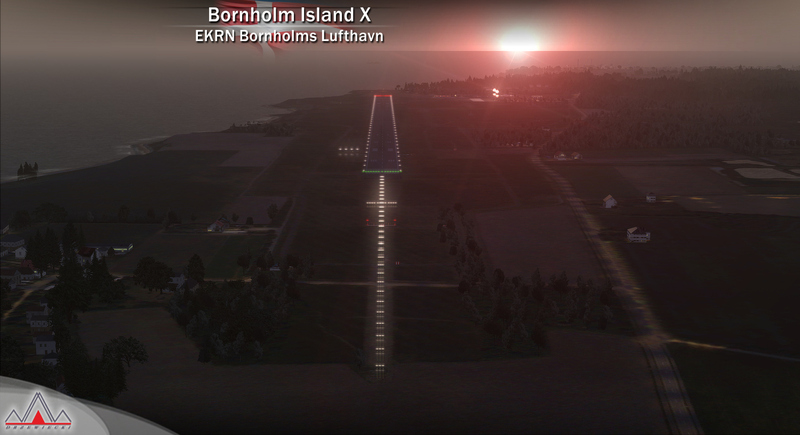 The runway has been further extended in 1944 (1100m), 1956 (1600x45) and finally became a 2000m-long runway. 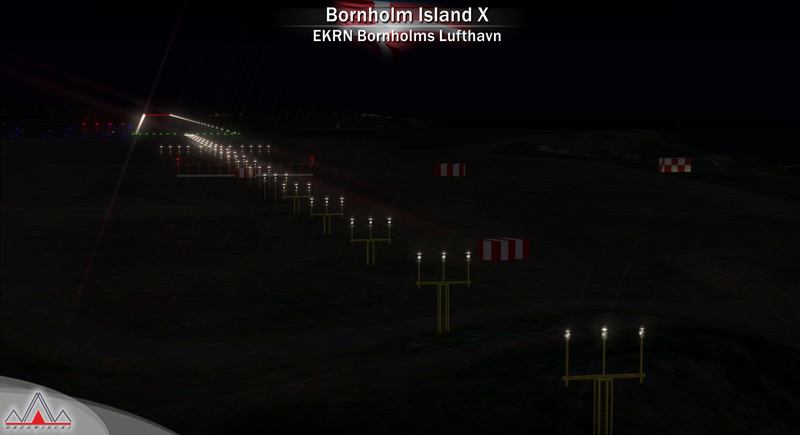 The ILS system was established for runway 29 in 1969 and for runway 11 in 1983. 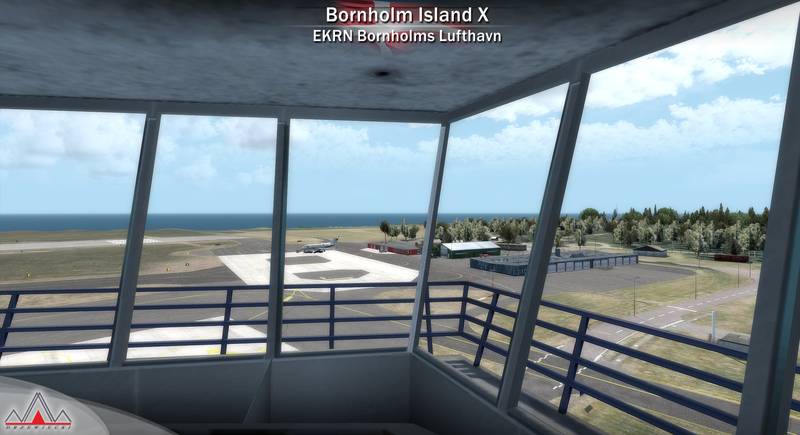 In 1982, the operations were taken over by Maersk Air, later a part of Sterling Airlines. 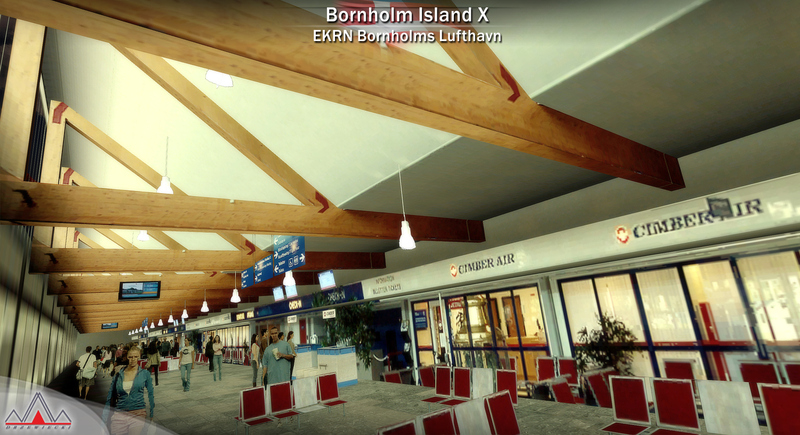 Heavy losses of the former forced it to abandon the route in 2002, which was then taken over by Cimber Air. 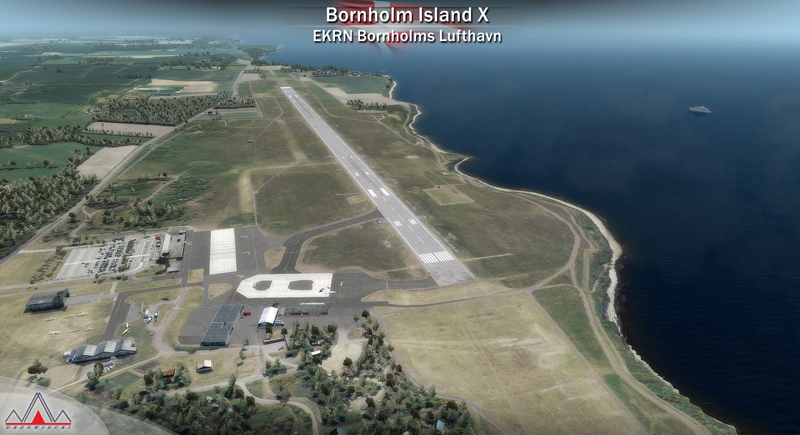 In 2005 Danish Air Transport became the second carrier at Bornholm Airport, increasing competition on the route. 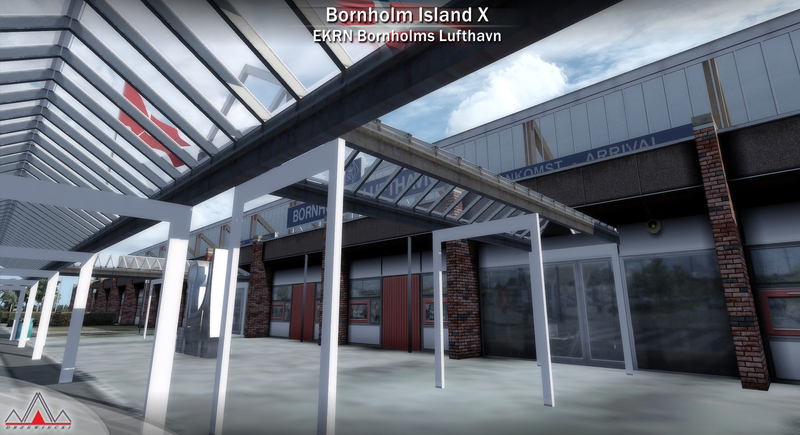 However, the airline decided to abandon the Copenhagen route just three years later, on 13 July 2008. 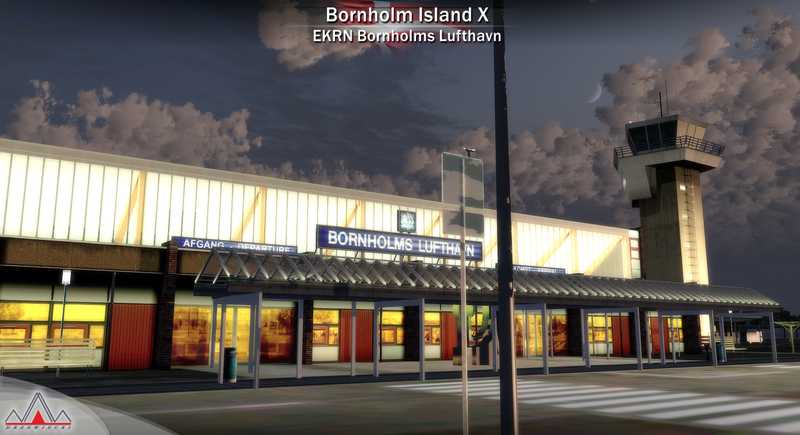 Currently the EKRN airport is used by Air Berlin, Bulgarian Air Charter, Cimber Sterling, SunExpress, Thomas Cook Scandinavia and Widerøe. 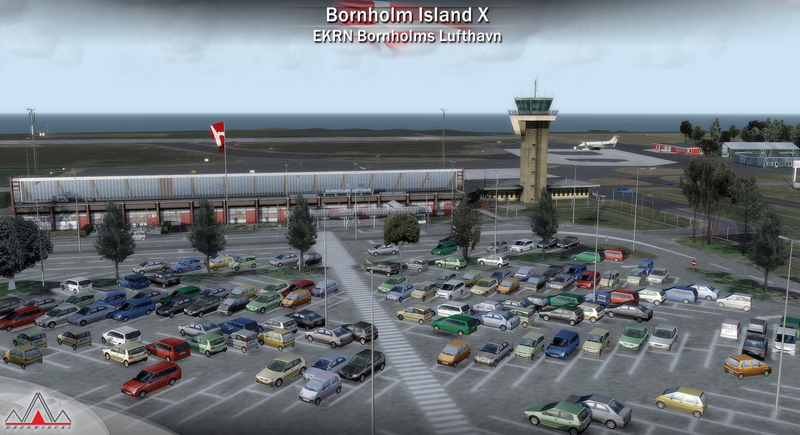 In 2010 the number of passengers reached 251,552. 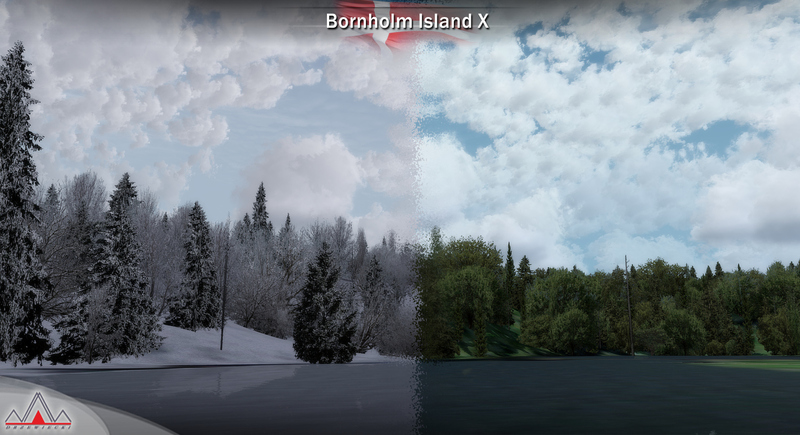 I dedicate this scenery to my mother, Tatiana Shebanova, who passed away while this product was under development.